Los Angeles injury law firm, Gregory A. Yates, P.C., is well known for rigorously fighting complex cases on behalf of injured victims and their families. When persons are exposed involuntarily to danger and injuries or death occur, that person or his/her family can bring a personal injury action against the party who owed a duty to the injured person to keep the environment safe. These injuries can happen at your office, store, mall, hospital and even public places. If you require a PI attorney in Los Angeles, you need the Los Angeles personal injury law firm that can offer personalized, compassionate advice and counsel and work tirelessly to achieve the best possible result for you. 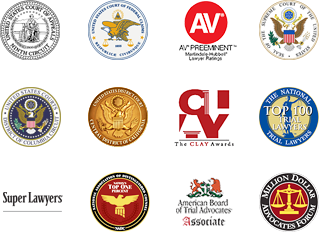 They have successfully recovered over half a billion dollars on behalf of their clients in Los Angeles personal injury settlements, awards and jury verdicts. 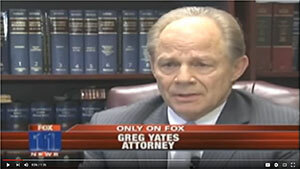 Los Angeles personal injury attorney Gregory A. Yates has been interviewed or profiled by major magazines, newspapers, and television networks. Find out why they value his opinion in high profile legal matters. Have you suffered a personal injury? You may be entitled to substantial compensation and reparations -- not only for your medical bills, but possibly for much more. Catastrophic injuries can be utterly devastating. You need help to establish your future quality of life, including a high level of medical care. We can guide you through this process.